Click/tap here to find the best Hawaii fishing charter for your needs! Kona Hawaii is world famous for calm waters and big game fishing. And there is no better Kona sport fishing experience than on Team HighNoon. With Captains Dee and Captain Jean, HighNoon is one of Kona's top rated sport fishing boats by both Trip Advisor and Yelp. We received both the prestigious 2018 Award for Excellence from Trip Advisor. 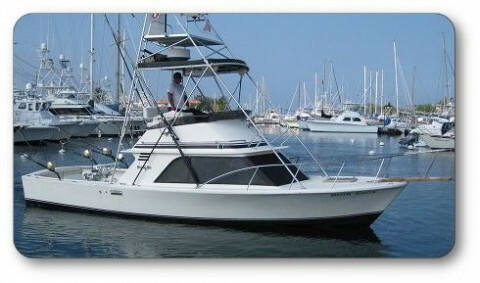 Owner operated and managed, HighNoon is the perfect boat for sport fishing in Kona, Hawaii. 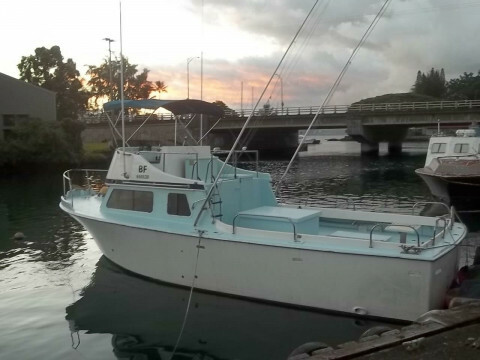 We invite you aboard to fish the calm waters off Kona, Hawaii. We specialize in light tackle fishing using live bait as well as big game trolling for Blue Marlin. NOTE: HighNoon is the only Kona fishing boat to update our fishing blog almost every day. So, when you do catch a nice fish, we provide a nice write up including photos and videos you can send to friends and family. Fun for us...fun for our customers! 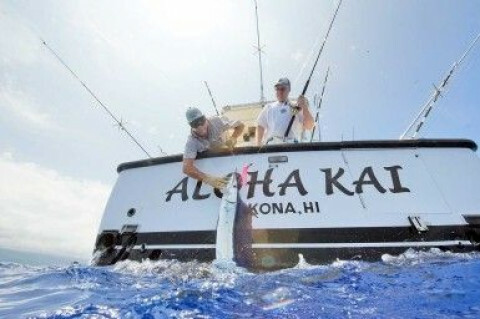 Fishing in Kona every day helps us know where the bite has been and the best places to find that once in a lifetime fish for you. HighNoon excels in enploying a variety of technques to catch fish. We work hard trying different techniques and enjoy showing our anglers the nuances of big game fishing in Kona. We may troll lures for a while, change over to live bait along a ledge, drop down to the bottom or we even down a live bait for a shark or two. There is something for every one on a Kona fishing charter. We can even stop over at Captain Cook (the best snorkeling in Hawaii) for a refreshing snorkeling stop (only takes about 30 minutes out of your fishing day) With low charter rates, high catch rates and a variety of fishing techniques, Highnoon is the perfect boat for fishing Kona, Hawaii.